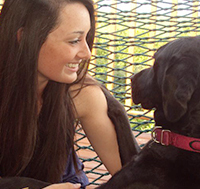 Monica is a public relations student at Marist College and a summer intern with Pet Health Network. She has been contributing to the site since May 2014. Monica is involved with our Beware the Bug campaign and will be writing various articles throughout the summer to help educate and inform pet-owners. In fact, Monica is a pet-owner herself; she has a black Labrador Retriever named Shelby.